OK 2 Beaver Creek, Haskel Co. 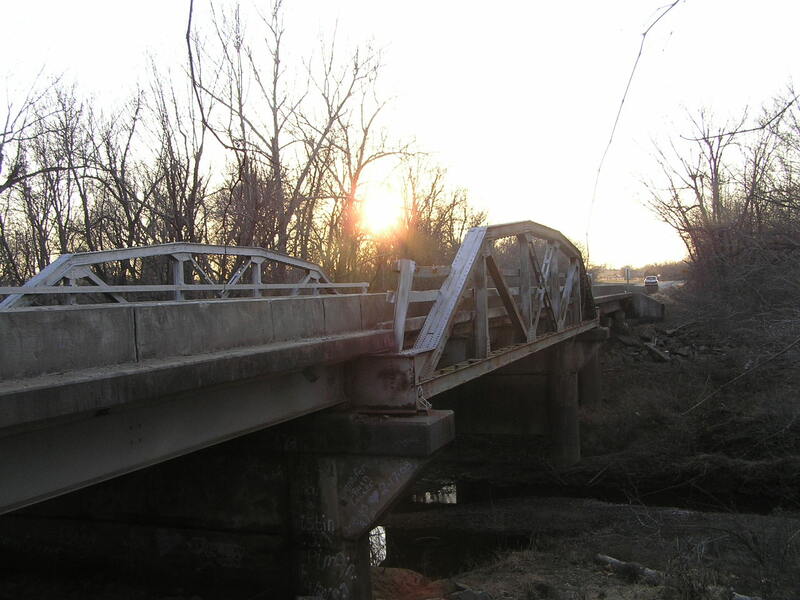 Built in 1956, this bridge consists of an 80-foot Parker pony span with steel stringer approaches. Above, a view looking through the bridge to the east. 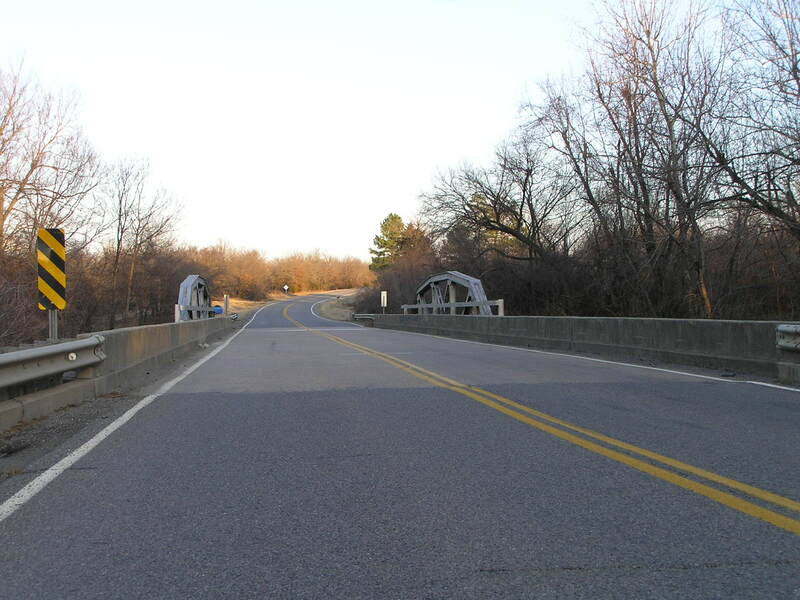 Though the bridge is fairly standard in design and installation, location and time has made the bridge unique, as the following views will illustrate. Below, a side view of the dependable Parker pony span. 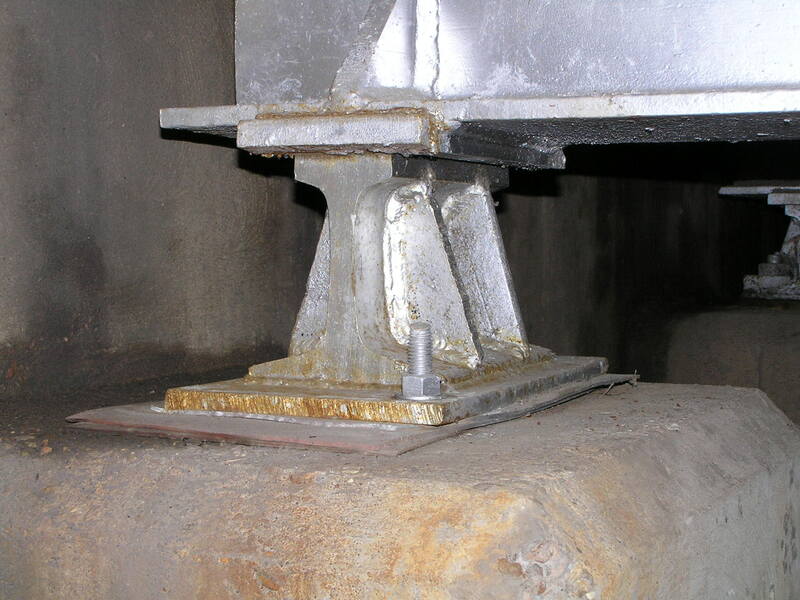 Above, these bearing pedestals where the stringer spans sit on the abutment look as though they were made from standard inverted "T" section railroad rail. 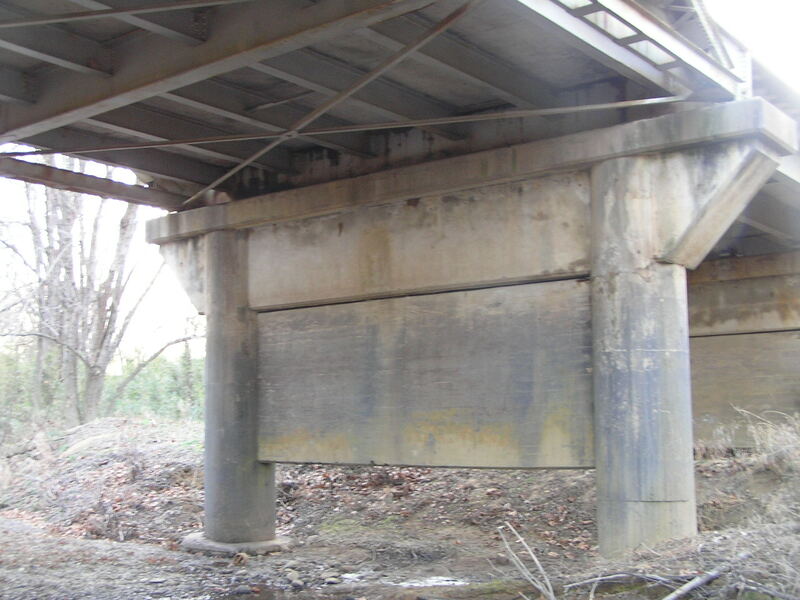 Below, these piers look like, judging from the look of the concrete, that the tops were widened to accommodate this full-width bridge. It is thus possible the construction date is actually when the bridge was widened. 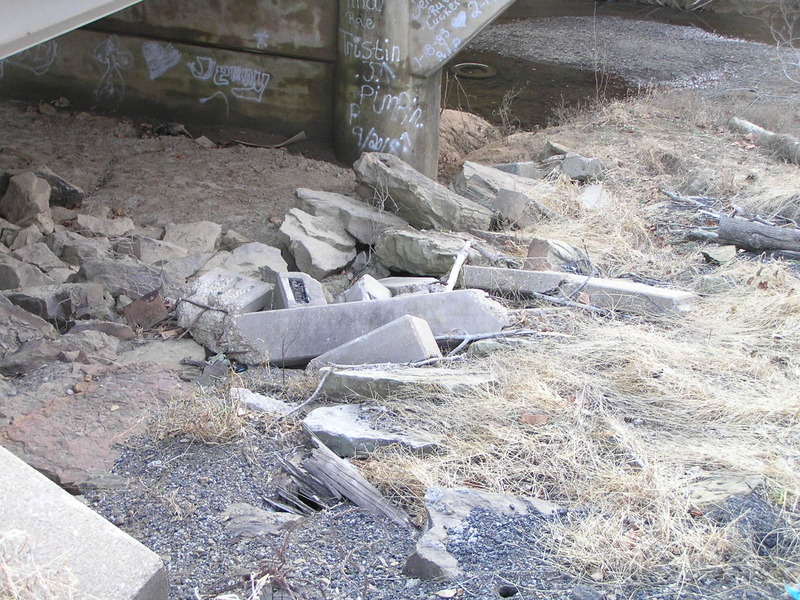 Above, remnants of the original concrete railings off the approaches. 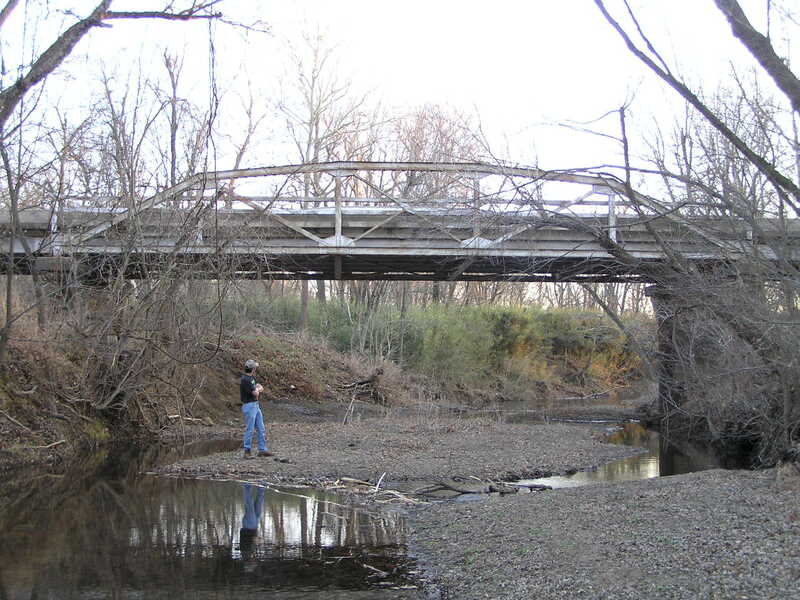 Below, a final view of this fine old bridge looking west.